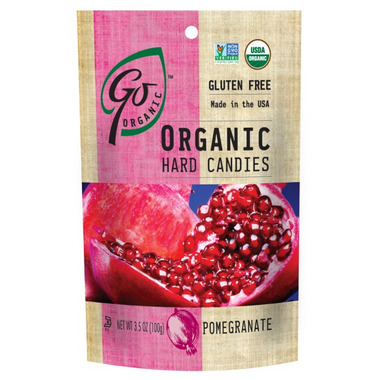 This is CLEAN candy.These Go Organic Pomegranate Hard Candies contain No Artificial Flavours, No Preservatives, No Saturated Fats, No Chemicals, No Colours, No High Fructose Corn Syrup, and No Additives. 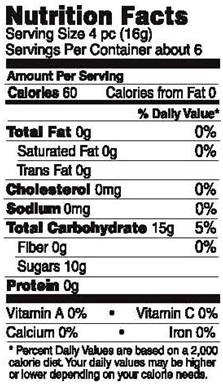 Adults and kids can feel good about having GoOrganic as a wholesome treat. Corn and chemical free and absolutely delicious. Sweet and tart at the same time, these have tons of flavour and an addictive quality that makes your mouth water for more. So glad I found them. Love these! There are quite a few in the package, glad that they are organic too!